Our main office is based in Bristol, however as we began looking into our carbon footprint a very simple question was asked: “Why do we come to the office every day, when 95% of our work is done remotely?”. Much head scratching ensued and no one could really see why a majority of work could not be done from our home offices, of which all staff and directors have. A quick calculation showed that EvolvIT travelled a staggering 40,000 miles a year just to get to the office and back – that is almost 14 tonnes of CO2 emissions. A policy with immediate effect was put into place to cut this by 80%, and has proved so successful that we now do over 90% fewer miles! We then turned to our suppliers, we must be responsible about who we purchase from as that has just a big an effect as we do. One supplier stood out as being particularly energy hungry. That is our hosting supplier, Rackspace. Over the years the number of servers we have hosted with Rackspace has grown to the point that we cannot ignore the CO2 footprint those servers emit. 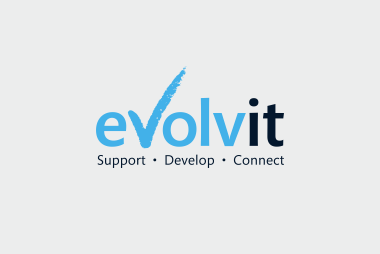 We spoke with our business management consultant at Rackspace regarding our thoughts and explained what we are trying to achieve here at EvolvIT. The last major point that became obvious was our responsibility for our customers’ equipment power usage. We could simply set policies in place that would make every machine use less power – but we have to be mindful of our customers existing policies and how they use their systems, internally and remotely. It was decided that the best way forward was education, and so an email shot was sent to all our customers explaining simple – yet effective changes to usage and computer settings to make every machine use less power and thus have a smaller CO2 footprint. Following our hosting contract with Rackspace, trees have been planted in the UK. This will help towards neutralising the carbon emissions created by the server/s. Please click the link below to see our Certificate from the International Tree Foundation (ITF) to which Rackspace are a Corporate Sponsor of ITF. ITF is a UK based Tree Charity, planting, protecting and promoting trees in the UK and Overseas and have been established for over 80 years. Our founder, St Barbe Baker was a visionary in terms of conservation and the environment. If you would like to know more about how you can work in partnership with ITF please visit our website http://www.internationaltreefoundation.org or email uk.admin@internationaltreefoundation.org for more information. Trees will be planted over the Winter period, for and on behalf of Rackspace and these are British Native Tree species such as Rowan, Whitebeam, Lime, Ash, Hornbeam, Oak, Birch, Beech, Hazel, Goat Willow, White Poplar.